First time on the market for this fantastic home. Located on a quiet cul-de-sac on an almost half-acre lot! The amazing, park-like yard is perfect for those looking for space, have pets, or want room to play. This spacious home is lovingly maintained by the original owners. The vaulted ceiling & curved staircase greet you as you enter the home. Hrdwd throughout the main floor. The well laid out, open, white kitchen, has a corner pantry, large island, work desk & granite. Main flr family rm has a gas fireplace w/ built-ins. Entertain in the living rm/dining rm. Main flr laundry rm & a 2 pce bthrm. The large master bdrm has vaulted ceilings & walk-in closet. The ensuite bthrm has dble sinks, corner jetted tub & updated sep. shower. There are 2 other good-sized bdrms up w/ a 4 pce bathroom. The bsmnt is fully fin. with a bdrm, 4 pce bathroom, rec rm & storage. The yard is attractively landscaped & has a composite deck. 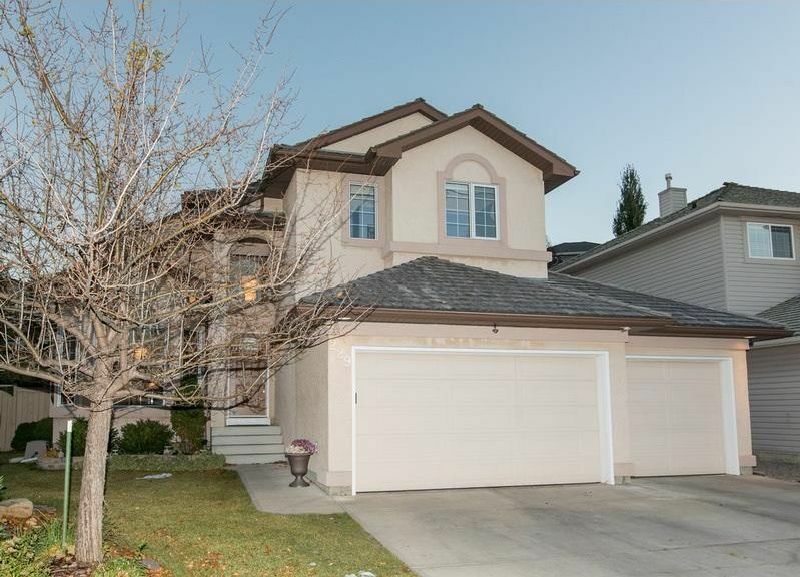 Top this all off with a triple car garage & it is the perfect home!